Euro Classics was established in late 1999 by Dale Oakes, with the initial goal of preserving and maintaining classic European sports cars. As the company and customer base grew there became a need to expand our skills to servicing more modern cars as well. Over the years the Euro Classics team has grown with people who have a passion for automobiles and are committed to quality. Our workmanship shows with over 250 awards from vintage racing events and concours shows across the country. 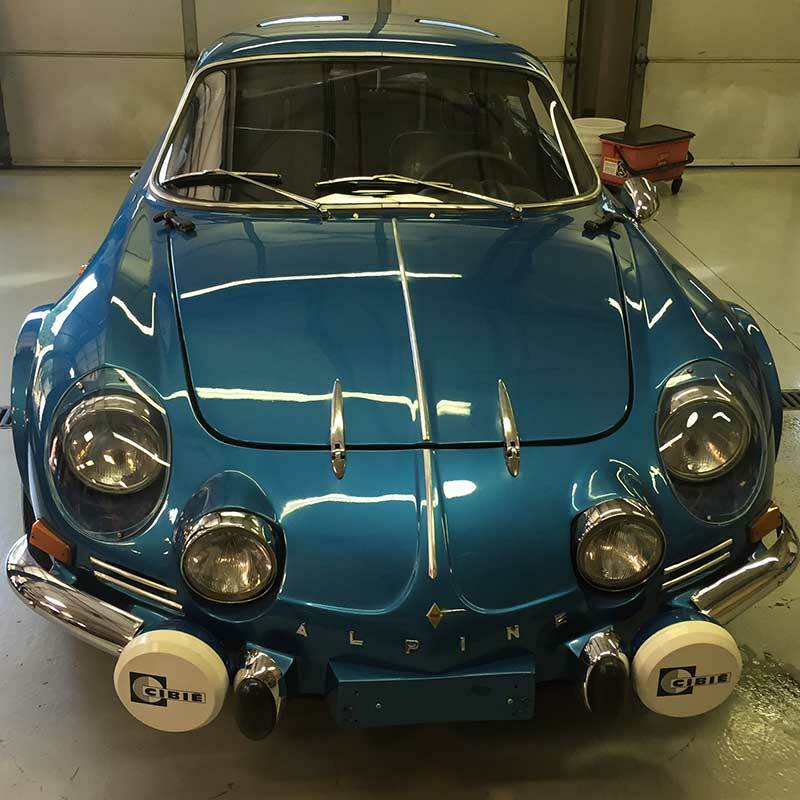 It doesn’t matter if it’s your commuter Volkswagen or a classic Rolls Royce, Euro Classics is committed to honest, quality repairs at competitive prices. Dale grew up around cars, as his father owned many classic and custom cars over the years. 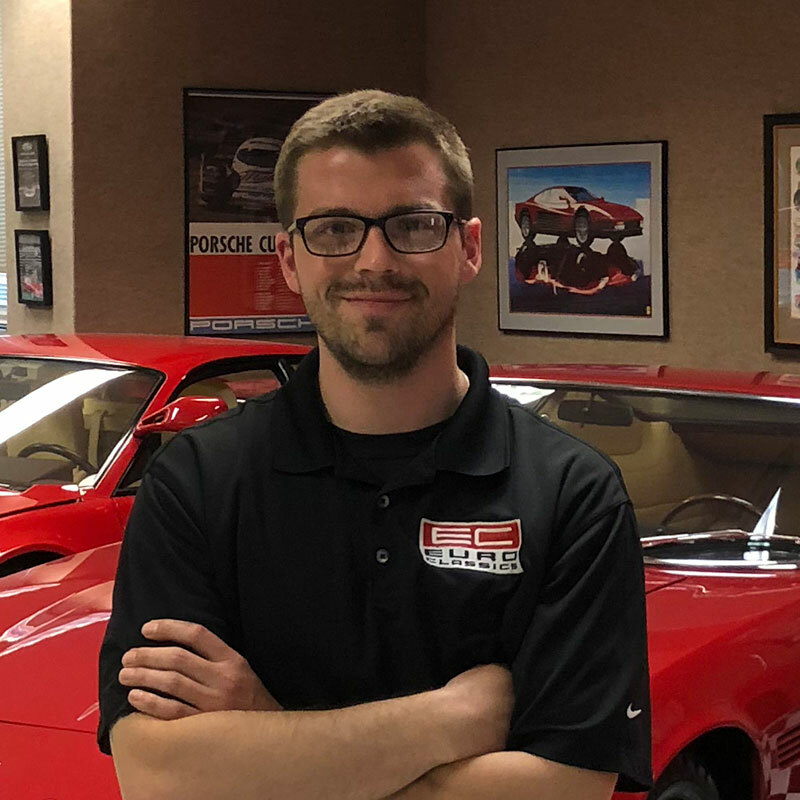 He started at a young age cleaning the floors in his father’s body shop and eventually was managing Rick Price Body Shop in Centerville at the age of 19. As a teenager he admired Porsche’s and Ferrari’s, but grew up around Fords, Lincolns, Cadillacs and muscle cars. This led to a passion and knowledge for a wide variety automobiles. A former ASE certified master body and paint technician he also has a vast knowledge in mechanical work as well. Joining Euro Classics in 2002 as Lead Mechanic, Kelly has been “wrenching” on cars before he could legally drive. He has a vast knowledge of all things mechanical and electrical. 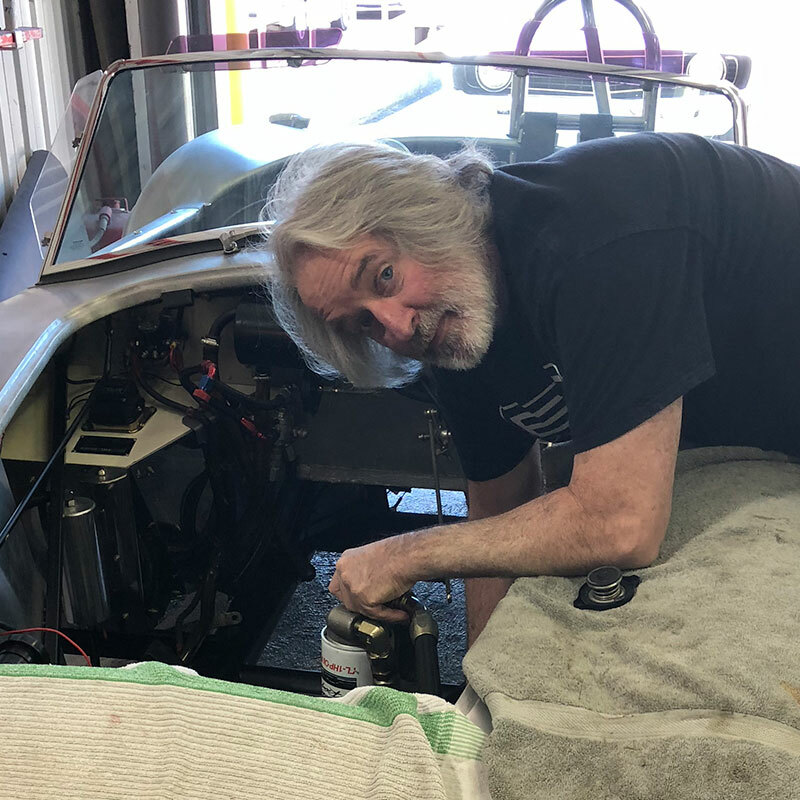 From rebuilding air cooled Porsche engines to diagnosing difficult electrical issues there is not much he can’t do. He is also an accomplished driver, competing in SVRA, NASA and BMW Club Racing events in his BMW M3 as well as driver instructing for Porsche and BMW Club track days. Joining Euro Classics in 2008 as a shop helper. From detailing, oil changes and brake jobs, as well as helping out in the Body Shop, Jake has done it all. He has worked his way up through the ranks to Service Manager. He has a long-time appreciation for cars and has owned many including several BMW’s through the years. 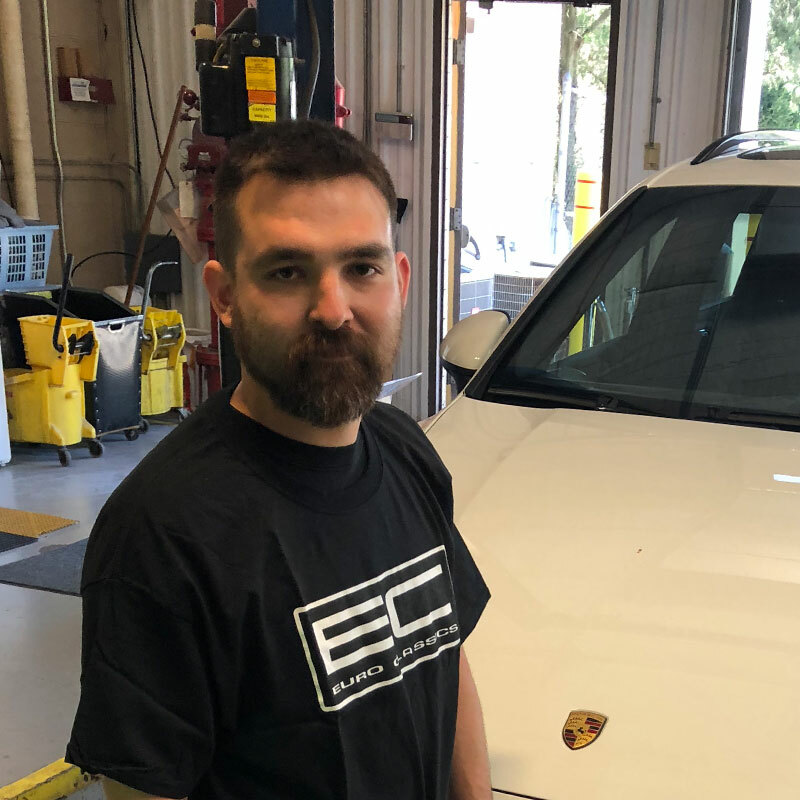 Trey joined Euro Classics in 2012 as a shop helper, performing general clean up and detail services. 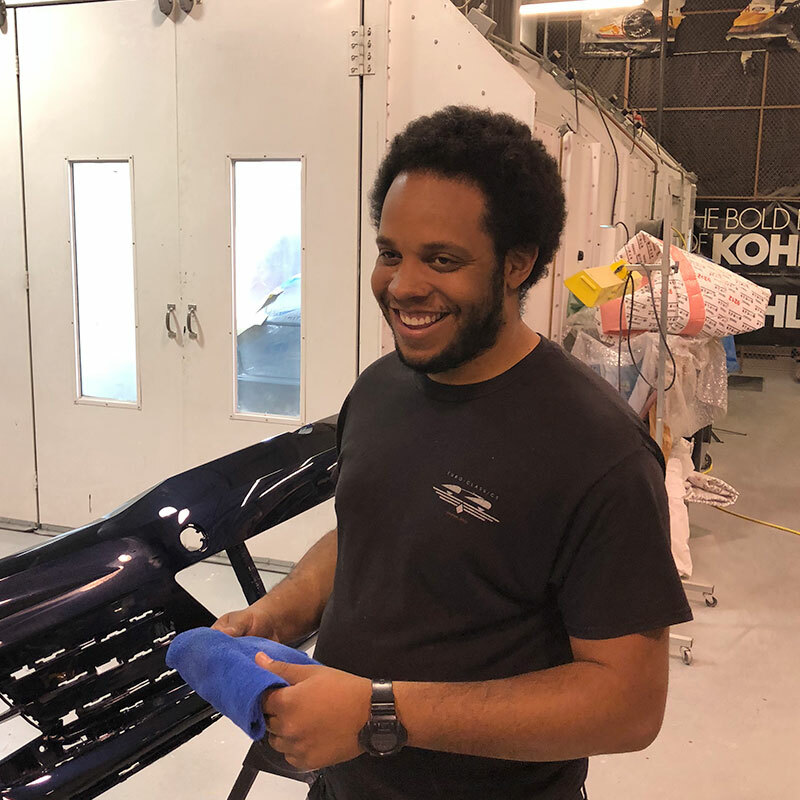 Trey has worked his way to the body shop and has developed excellent skills as a body technician. He is a PPG certified refinish technician as well. Trey spends his spare time attending car shows and working on his “stanced” Mazda 3. 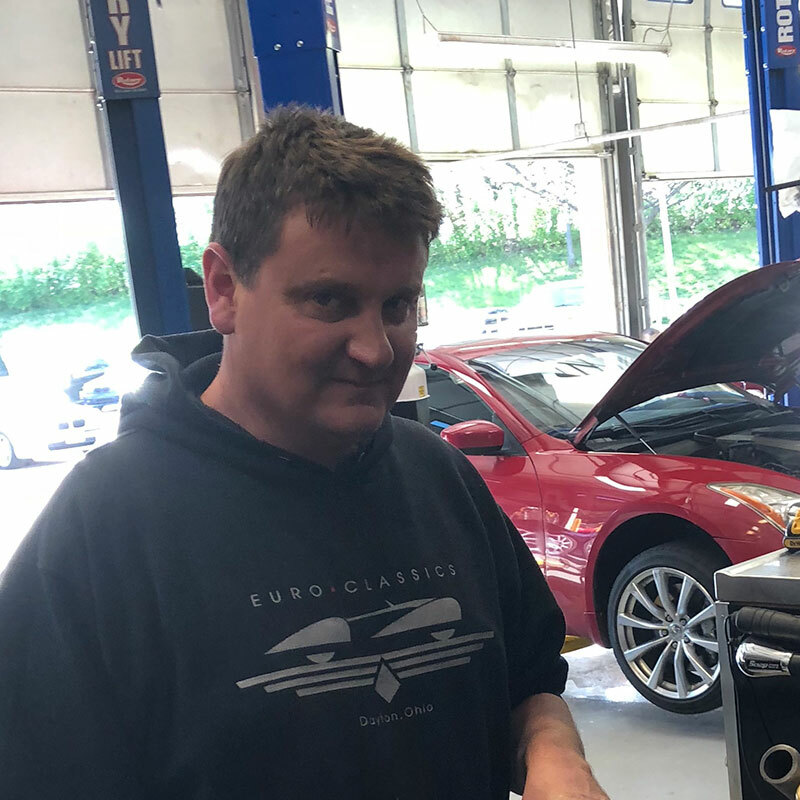 Eric joined us in 2014 as a certified BMW technician. He has been working on cars for 15 years and is also a former Honda PAC technician. Eric is well versed in all BMW service and has a broad knowledge of other brands. He owns an E30 BMW with a M50 engine he converted himself. Eric is also an accomplished USPSA range shooter in his spare time. Bill joined Euro Classics in 2016 and is our resident classic car tech. He was an original crew member of the Porsche Fabcar team in the 80’s. 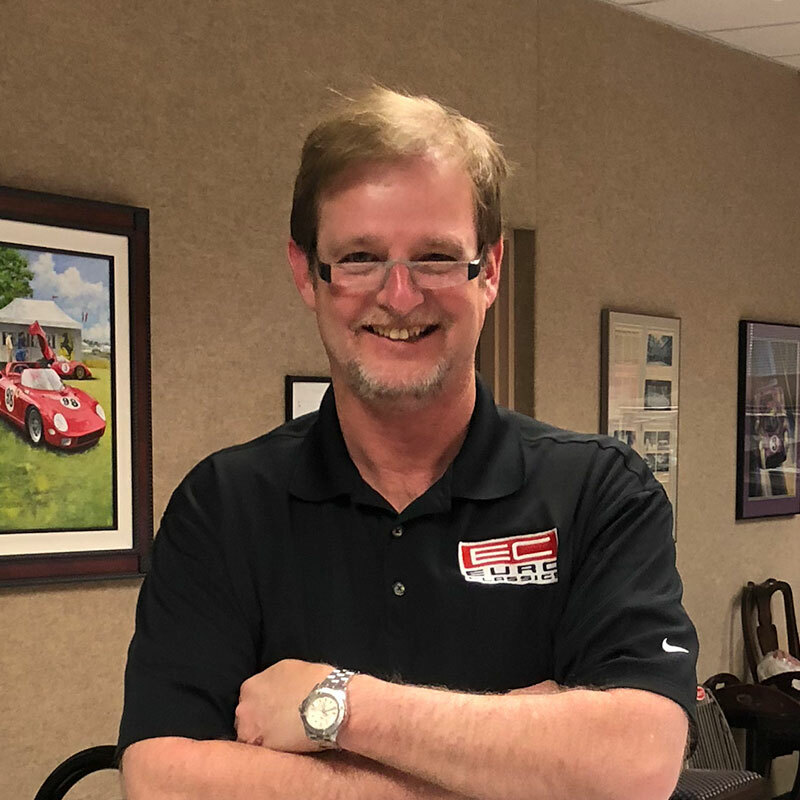 He is a former certified GM technician and has early European experience as a tech at Ray Thacker’s Stuttgart Automotive. As well as having a vast mechanical knowledge Bill is also an accomplished metal fabricator. In his spare time Bill tinkers with his 1969 Camaro, 1940 Ford Coupe and other classic cars he owns.